For those wishing to add a classified listing, you can either contact us or just complete the submit classified form with your advert details. NOTICE TO ADVERTISERS: Henry Schein Dental New Zealand does not warrant or guarantee the accuracy, quality, completeness, currency, or validity of any information in Classifieds. Please advise us once your advertised position has been filled. Advertisements will be carried for a maximum of two months. Please select a classified category to view associated adverts. We are looking for a part-time dental assistant to join our team at Browns Road Dental. We would prefer the applicant to have experience, however, training can be provided. The position will be approximately 20 hours per week. Applicants must be NZ residents or have a work visa. We are looking for a full-time dental assistant to join our team at Browns Road Dental. We would prefer the applicant to have experience, however, training can be provided. The position will be approximately 20 hours per week. Applicants must be NZ residents or have a work visa. An exciting opportunity has arisen for a Dental Assistant to join our dynamic and friendly team at our Dental Practice on Barry’s Point Rd, Takapuna. You will be working alongside a Dentist who is a father to three young children and values the importance of work life balance. With 20 years’ experience he offers a wide range of dental treatments including Orthodontics and Botox, and as such your role will be diverse and stimulating. You will have an outgoing and friendly personality, recognising the importance of putting a patient at ease through conversation and company. You will also recognise the importance of a collaborative relationship with the Dentist, working together to achieve best possible patient outcomes within an engaging and happy environment. You will be committed to being part of a team that gives the patient the best possible experience, fostering loyalty and trust. You’ll be part of a fantastic community with wonderful local cafes and attractions, and within a modern practice that looks out over green space. You will be an efficient worker, a fast and determined leaner, a quick thinker, a team player. You’ll be charismatic with a sunny personality who realises the power of a great smile. You’ll be looking for a long term position where you can apply and refine your skill set to become one of the best in your field, within one of the best practices in the country. We are looking for a part-time dental assistant to join our team at All Smiles. We would prefer the applicant to have experience, however training can be provided. The position will be approximately 20 hours per week. Applicants must be NZ residents or have a work visa. Full-time Chair-side Assistant required for modern well-equipped dental practice in East Auckland, team player with good command of English, good phone skills and computer knowledge. Are you looking for an enjoyable short term assignment where you will have the opportunity to expand your skills and knowledge as a Dental Assistant? If so, our client would be the perfect practice for you. Working in a beautiful practice, located in Christchurch, with a great team to support you – experienced and well-trained dentists with a great reputation, a fun team with amazing opportunities. 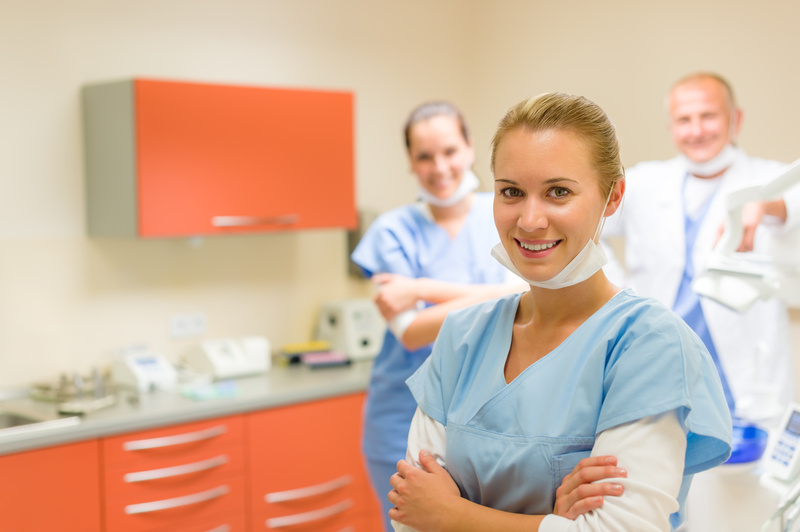 Our client is looking for an experienced Dental Assistant with a great attitude and a strong work ethic. Covering staff while on leave, you will be filling in from the 5th of May until the 14th of June 2019. Days and hours may vary. To apply to be part of the Medacs Healthcare Dental Team or would like to know more, please click “apply now” and follow the prompts or contact me, Mandie Pierson, on 09 869 2990 for a confidential discussion. I look forward to speaking with you. We are seeking an experienced dental Assistant to join our team on a permanent part time basis, this role may expand into full time.